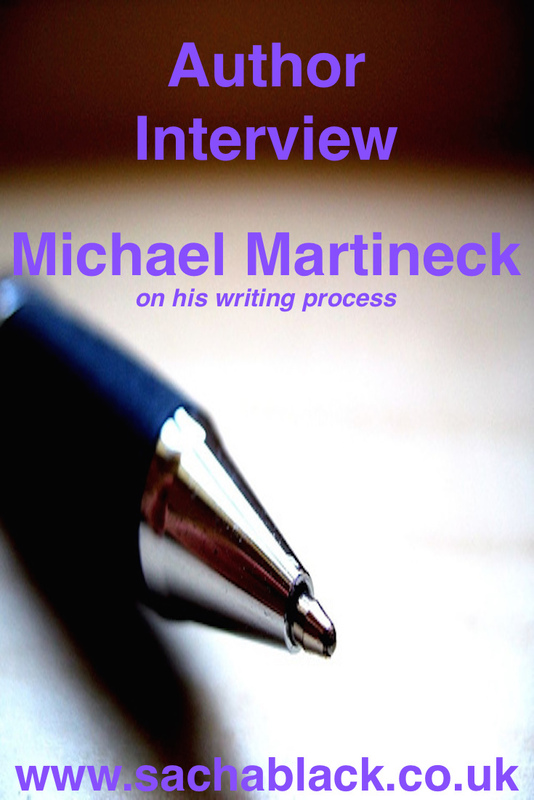 Please welcome the fascinating Michael Martineck, you can find him on his blog, he has written two books:The Milkman and Cinco de Mayo. Michael has recently had huge success, so a big congratulations to him as he begins the interview. 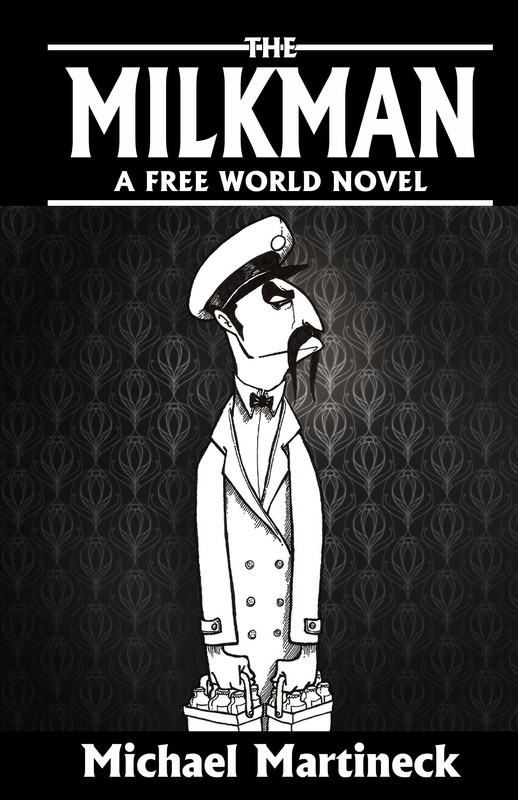 The Milkman was a finalist in Eric Hoffer book awards and a gold medal from the IPPYs. 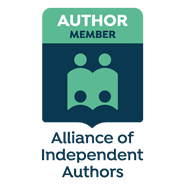 The Independent Publisher Book Awards competition: Best science fiction novel in North America, from an independent publisher. Congrats Michael. I love the slash between writing and working. The concepts are floating Venn circles, sometimes intersecting, sometime not. I’m writing the third book of my Misspellers trilogy, and it’s not work. This one is nothing but fun. I fit that in while editing my sequel to The Milkman. Editing is work. Not as dirty as mining coal. Not was rewarding, either. My characters grow like Sea Monkeys. Dry little specs that sprout and wriggle around the more medium I provide. They are all conceived in conflict. Unlike real people, all conceived in love. Oh my God, no. I want people to read my work. Read about me? You’re better off with the back of a cereal box. You’ll learn something from that. After 27 years of writing I can say, absolutely, that I’m still working on it. I’ve tried different techniques, but every project seems to call for a variation on the method. I’m more of a free-range writer. I build myself a pen and roam around inside it. Ray Bradbury wrote in his wonderful book Zen in the Art of Writing not to write what you know, but write what you want to know. Too much planning is stifling. BUT too much freedom leaves the reader with no guidelines, no ground. Boundaries are as crucial as liberty. Funny how important a pen remains to writing, just, you know, the other kind of pen. A list of points I need to hit – whether they be plot points or exposition I need to hide – is all I need to start. A time line usually develops as I write, so that I know where the characters are in time and space. My organizational technique changes per project. I like to think it continues to improve. I like to think a lot of things. I’ve incorporated more tools as they’ve become available. Evernote, for instance, lets me gather scraps of ideas, quotes, terms I come across – all kinds of bit from all kinds of places – into one place. One giant bit that’s never farther than my right front pocket. Writing is trouble and I don’t go looking for trouble. Trouble finds me just the same. Honest – story ideas are bugs, they appear with no regard to proper timing. Some are good, some are bad, some are gross, poisonous, pretty – they are part of life. Opportunity is my environment. Having a big desk jutting out from an A-frame in the woods would be cool. So would a jet-pack, speaking with dolphins and the chance to address the national Republican conference. Fitting writing in whenever and wherever I can is the only way my writing gets done. Bus, train, back patio, kitchen table – I’m not picky. Actually, I’m very picky, I just can’t act on my pickiness. Impermanence. There you go. That’s the whole trick. Everyone who wants to write a novel should first, open a jar a Play-Doh. Second, make an elephant. See how you work on one part, then the next, then you go back. You take some doh away, then you put it back somewhere else? Yeah. Now do that with words. I’m not being cute, here. All art is the same. Constructive and reductive. Non-linear development. Fluid. Impermanent . . . until printed. The love of reading is alive and thriving. It’s more accessible than ever. It’s also easier to find the type of writing you find appealing. It’s tough to be a writer and rise above the noise. There is simply so much and so many outlets that I feel, most of the time, like I’m shouting at a One Direction concert. Great time to be a reader, though. I’m not convinced James being popular is much different than Margaret Mitchell getting a great deal or Colleen McCullough. Maybe Gone With the Wind or The Thorn Birds are better, from a literary standing. I’m not sure. I have had a big publisher and a little one, self-published and let crap sit on my hard-drive. Each route has its charms. As for plans – I don’t need to make God laugh anymore. He’s gotten plenty of chuckles out of me. No body cares. Landing a publishing deal is such a major accomplishment that I really thought people would care. Most don’t. Publishing is, in the end, about celebrity and money. If good craft leads to either, great. If crap writing and bombast bring in the eyes and cents, well that’s fine too. I met the playwright Manny Fried when I was young. 12, maybe. He said, “A writer writes everyday. Even when he’s sick.” Man, did that stick with me. Any author should celebrate fanfic with Champagne and fireworks. People enthusiastic about your world? Your characters? There is no higher form of compliment, and no better way to perpetuate your work. Like I said before, all art is the same. I’m better at writing than most other things, though if you heard me play the piano, you’d say that ain’t much of a boast. I do like playing the piano. I created my first comic book at around seven-years-old. Wrote my first novel at 11. The novel was like 25 pages, but it felt like a lot at the time. I no more decided to be writer than to be right handed or near-sighted. My favorite author is Fyodor Dostoyevsky. That sounds a little pretentious, I know. Read Crime and Punishment now, though. Seriously. Published in 1866 and it feels more current than best sellers from 2006. My favorite living author is Jonathan Carroll. He makes it all look so easy. 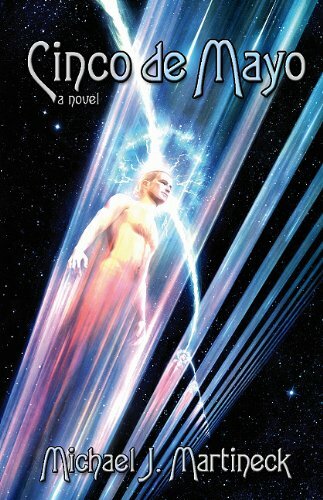 Michael’s latest novel is The Milkman (EDGE Science Fiction and Fantasy), a murder mystery set in a world with no governments-just corporations. His last novel, Cinco de Mayo, was a finalist for the 2010 Alberta Reader’s Choice Award. 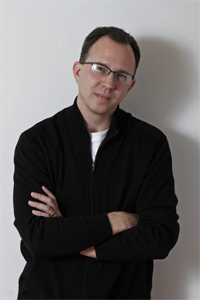 He has written for DC Comics, several magazines (fiction and non-fiction) the Urban Green Man anthology and two urban fantasy novels for young readers. Michael has a degree in English and Economics, but has worked in advertising for several years. He lives with his wife and two children on Grand Island, NY. I loved that Michael compared his writing process to playing with Play-doh. He’s got something there. Yes, it is a great time to be a reader. There are more books out there in any genre than a person could read in a lifetime. Yeah I particularly liked this interview too, really interesting guy. And I agree I loved the play-doh comparison ? I think my takeaway quote is “Opportunity is my environment”. We definitely have to make the most of it. I also like the reference to fun, and that each project develops in its own way. Lovely answers to great questions. Thanks Michael and Sacha. Thanks Norah. And I agree the ‘fun’ comment is a timely reminder that writing currently is a hobby and should be fun, even if it were full time it should still be fun because life’s too short to not enjoy what you do ?